One of my favourite things about Autumn is the return of mustard, it's such a classic autumnal colour that comes round every year. 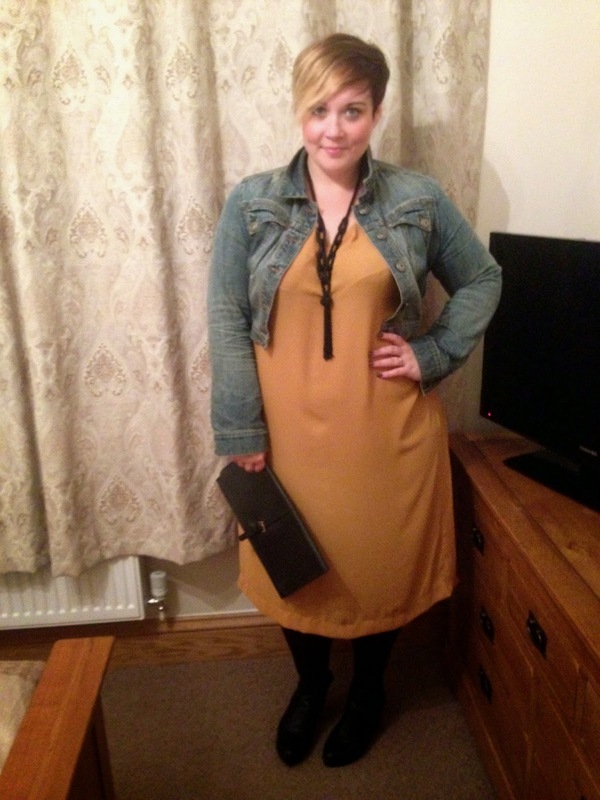 This beautiful mustard midi dress from ELVi is perfect for layering up. I wore it to dinner when Michael and I went away the other weekend and teamed it with my denim jacket, chunky boots and drape necklace. The lighting isn't great because it was the evening but I hope you can get an idea of the lovely colour. 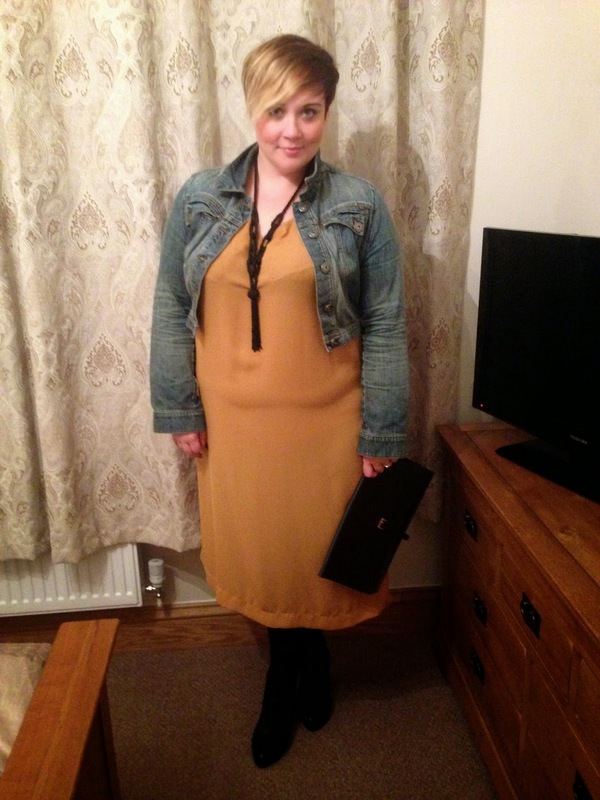 I'm wearing the size 24 here, I sized up as I had a feeling it might be a little bit unforgiving. It's 100% polyester so there's no stretch, and it does cling to everything, so just bear that in mind, but don't let that put you off, it's a really chic and versatile. The rather high, but oh so slinky thigh split make it a little bit saucy. Team it with a chunky long line cardigan, leggings and biker boots for a more casual look. 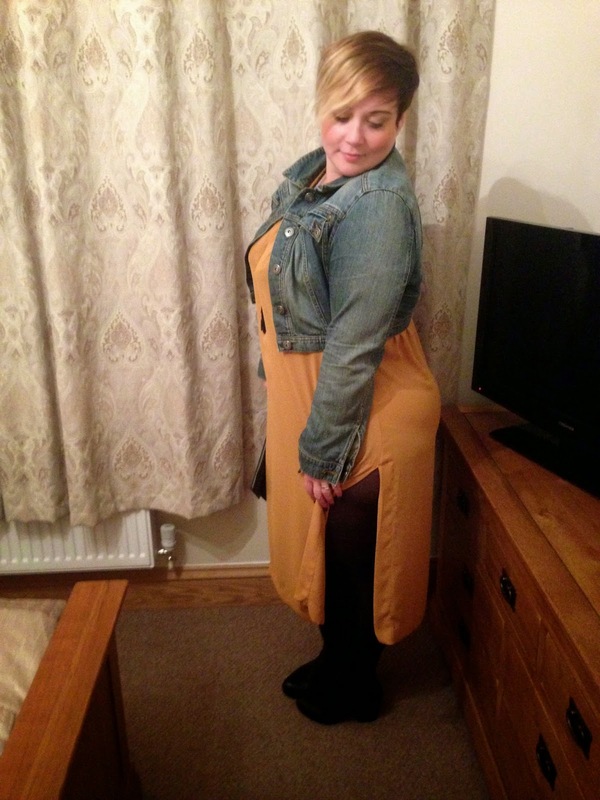 If the mustard isn't doing it for you, the dress is available in khaki and red on the website. Your hair looks so fit I want to rub my scent on it.